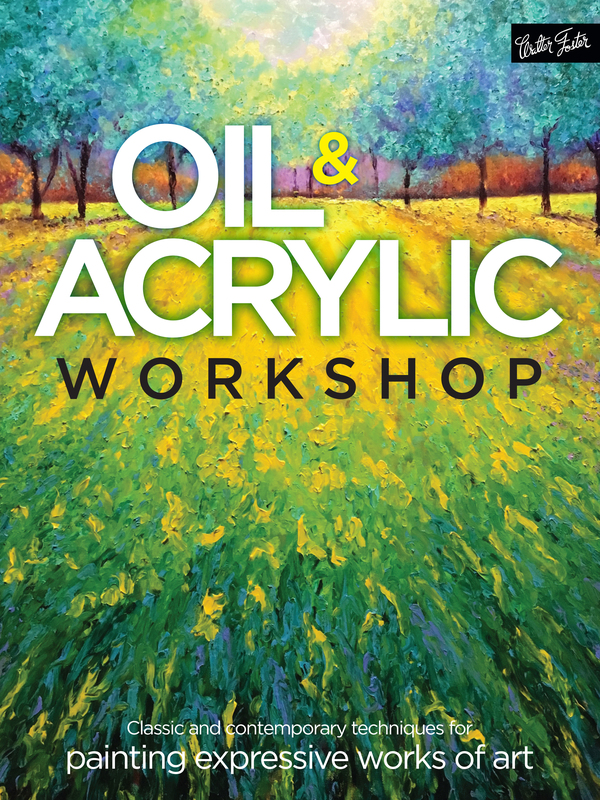 With Oil & Acrylic Workshop, artists of all skill levels will discover how to create beautifully textured, vibrant, and colorful works using traditional painting tools in new and surprising ways. Aspiring and established artists alike will relish setting aside the paintbrush in exchange for the palette knife, sponges, and even their fingers to create colourful, contemporary works of art. Packed with techniques for working with oil and acrylic as well as colour theory, techniques, and approachable step-by-step projects consisting of landscapes, animals, flowers, and more, budding artists will become masters of new and engaging painting techniques in almost no time. Kimberly Adams creates vibrant landscapes using her fingertips. Kimberly studied art while growing up in New Mexico and says her paintings represent her love for nature as well as her adventurous heart. She serves on the board of directors for Parklane Fine Art Gallery in Kirkland, Washington, and teaches finger-painting workshops at Cole Gallery in Edmonds, Washington. Bridget Skanski-Such creates acrylic paintings of nature scenes using her fingers, brushes, and stippling, printing, and spattering techniques. She is both a musician and an artist and exhibits her works throughout England. Yiqi Li currently resides in Southern Ontario, but she was raised in China, where she learned traditional Chinese brush painting. Upon moving to Canada, Yiqi began experimenting with oil and acrylic paints and now creates colourful artworks using palette knives. Her art can be found all over the world and has appeared on the cover of books and magazines.